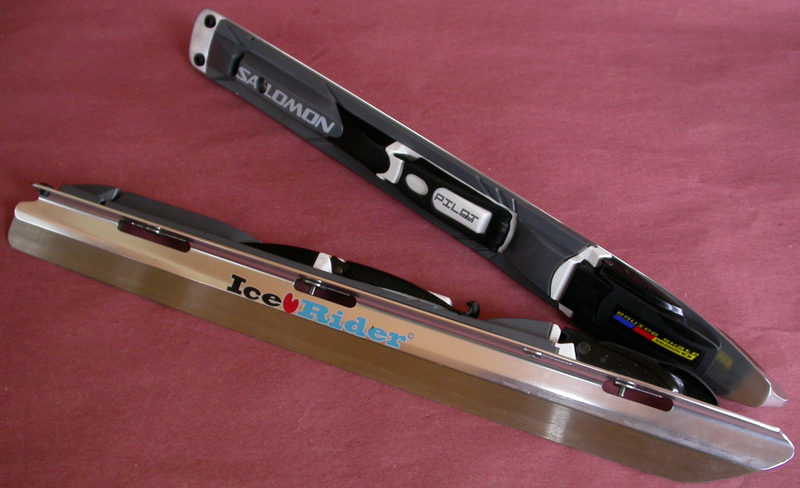 Ice rider Nordic ski boot skate blades. Ideal skate for lake skating / skate touring. High quality fine grain fully ground steel runners with high quality frame and Solomon pilot skate bindings mounted. Step in a go. Nothing comes close to the comfort and speed you get with this type of setup for natural ice. Choice of 16.5 or 17.5 inch lengths.